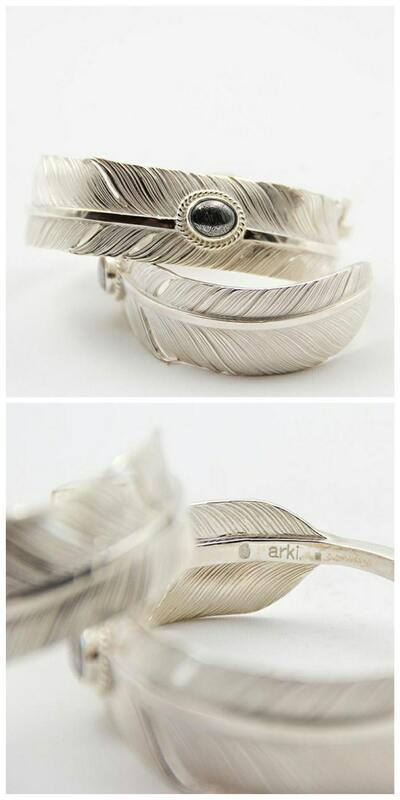 The silver feather bangle is an elegant piece of jewelry - chunky, yet light. 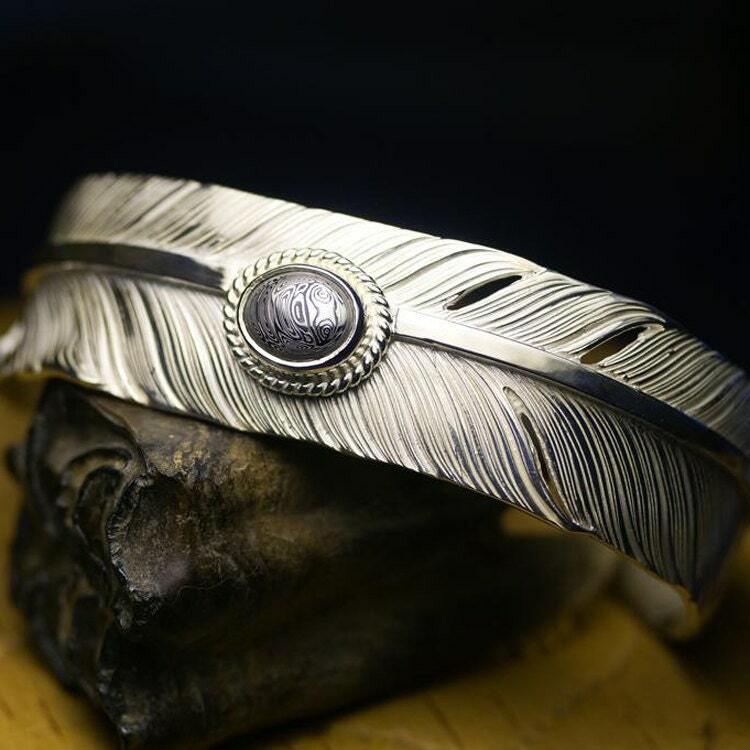 An ideal gift for men, the tribal bangle design is inspired by the Native American culture. 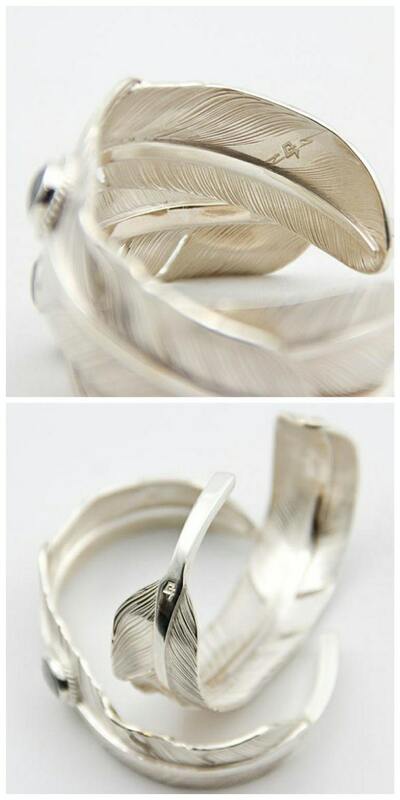 Handcrafted from a single silver piece, the cuff bracelet represents a single feather curved into a bangle. Each feather strand, each barb is clear and stands out in rich detail. 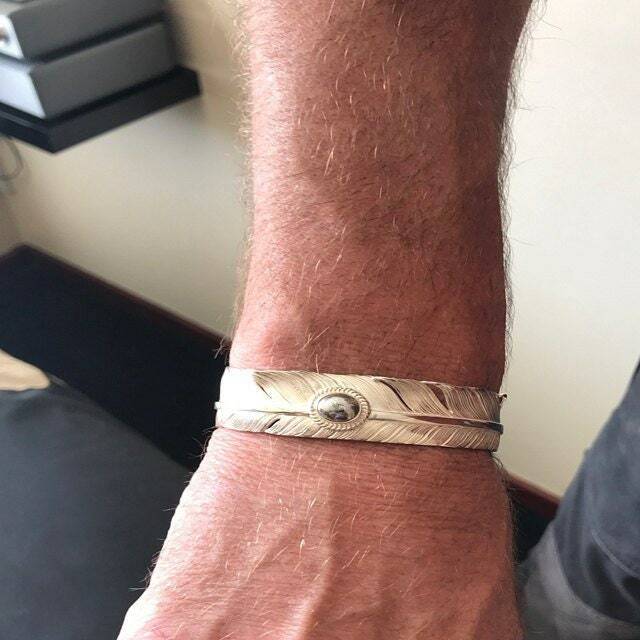 A single Damascus steel - with its distinct wavy patterns - is set right in the middle of the bracelet. 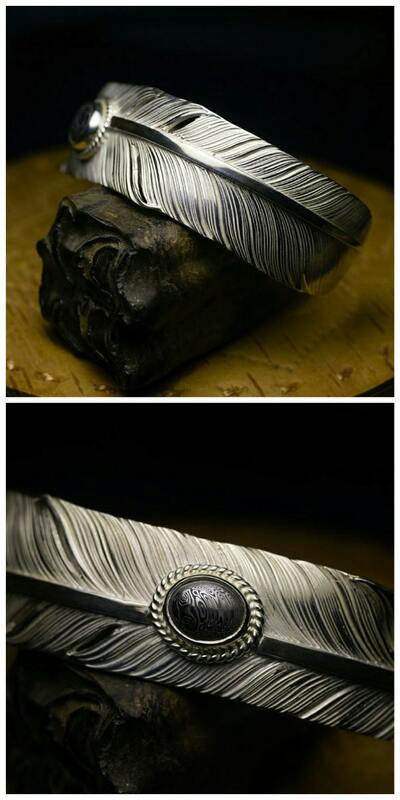 The dark grey shade of the Damascus steel contrasts beautifully with the shiny silver. 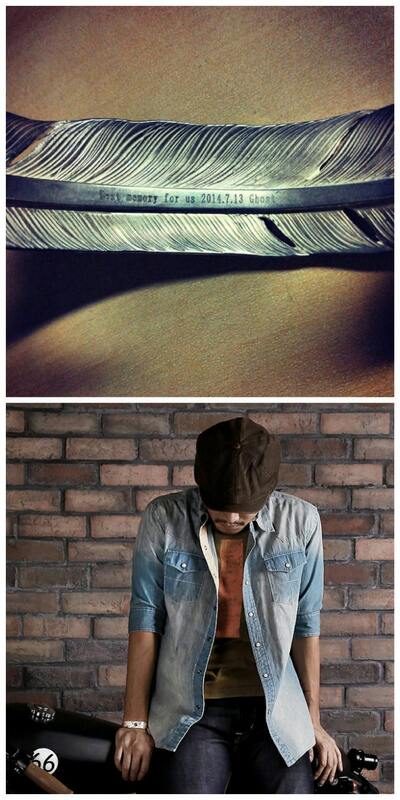 You can also opt for the oxidized finish on the men’s feather bracelet, which creates a vintage, used look.